So where did we get the idea that salvation is based on something that we have done? Sad to say, in many cases, the churches of today must take responsibility for fostering this false belief. Since I am a Baptist pastor, I will use Baptist churches for my example… my heart aches when I see other Baptist pastors, at the close of the service, beg and plead for people to “come down the aisle and be saved” or “repeat the sinners prayer after me and be saved”. In many cases, this is done by well-meaning pastors who are trying to encourage those in attendance to make a commitment to Christ. But, instead of bringing about commitment, they are encouraging others to trust in a work for their salvation. Please remember, a person can be saved just as easily standing in the pew, or sitting in a chair, or lying in a bed etc etc. The Lord can work in the heart at anytime and any place, not just at the altar in the front of the church. Likewise, salvation comes through Christ creating faith into the heart of the faithless, not by us saying any prayer. The only way we can be certain we are saved is by knowing the Lord has worked in our lives. How can we know this for sure? The Bible makes it plain…. In the Bible, a true salvation experience brings about change in the life of the believer. When God intervenes in the life of a sinner and brings him to salvation, the newly saved person becomes a new creation in Christ. (2 Cor 5:17-21) This “new creation” involves a new attitude about the Lord and sin. (Eph 4:22-24) The newly saved now sees Christ as their Lord and despises the sin in their life. This new attitude then motivates the Christian to begin a life of service to their Lord and Savior. This service is described as fruit bearing. (John 15:1-5, Gals 5:19-26) This changed life is one of the reasons why God has saved us (Eph 2:8-10). So let me rephrase my original question, “Have you ever exercised faith in Christ? If so, has this faith produced a changed life within you? Do you now love the Lord and seek to please Him with your life. Do you now hate sin and strive to rid it from your life?” These questions get to the heart of our spiritual condition. If you can say, “yes” to all three, you can be assured that you have been forgiven of your sins and are a part of God’s family. If you must say “no” to any, or all, of these then you must come to the realization you are yet in your sins. If you are yet in your sins, please follow the dictates of God’s Word…. If you would like more information about salvation, please refer to my blog page entitled “forgiveness”. Also, if you have any questions concerning this blog, or if you have a subject you would like discussed, please feel free to email me at settledinheaven@gmail.com. I will answer all emails via my blog, email, or both. 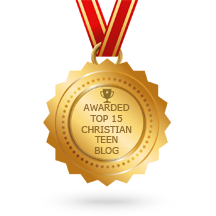 This entry was posted in A CLICK A BLESSING TODAY, CHRISTIAN FOUNDATIONS OF BELIEF, CHRISTIAN LIFE AND THE WORD, SETTLED IN HEAVEN and tagged Bible, Christian, Christianity. Bookmark the permalink.